I was appalled to see Saturday’s footage of the violence directed against the police in central London by protesters demonstrating against the imprisonment of Tommy Robinson, the far-right activist jailed for contempt of court last month. The police were outnumbered and had to retreat, a baying mob pursuing them. I had nothing but respect for the bravery of the officers, in that charged situation, trying to stand up to a crowd of thugs and protect the public. Whether that represented the entirety of the questions posed is not clear. But, particularly in light of the subsequent violence, it seemed an unusually meek approach by UK Border Force, who are not known for timidity. (As will become clear, I am not suggesting that Mr Wilders incited or encouraged the violence that followed his address.) This diffidence may have something to do with Mr Wilders’s history with our immigration authorities: he successfully appealed against a refusal to admit him to the UK on a previous occasion. the Secretary of State for the Home Department (SSHD) is of the view that your presence in the UK would pose a genuine, present, and sufficiently serious threat to one of the fundamental interests of society. The SSHD is satisfied that your statements about Muslims and their beliefs, as expressed in your film ‘Fitna’ and elsewhere, would threaten community harmony, and therefore public security in the UK. You are advised that, should you travel to the UK and seek admission, an immigration officer will take into account the SSHD’s view. If in accordance with Regulation 21 of the Immigration European Economic Area Regulations 2006, the immigration officer is satisfied that your exclusion is justified on grounds on public policy and/or public security, you will be refused admission to the UK under Regulation 19. You would have a right of appeal against any refusal of admission exercisable from outside the UK. 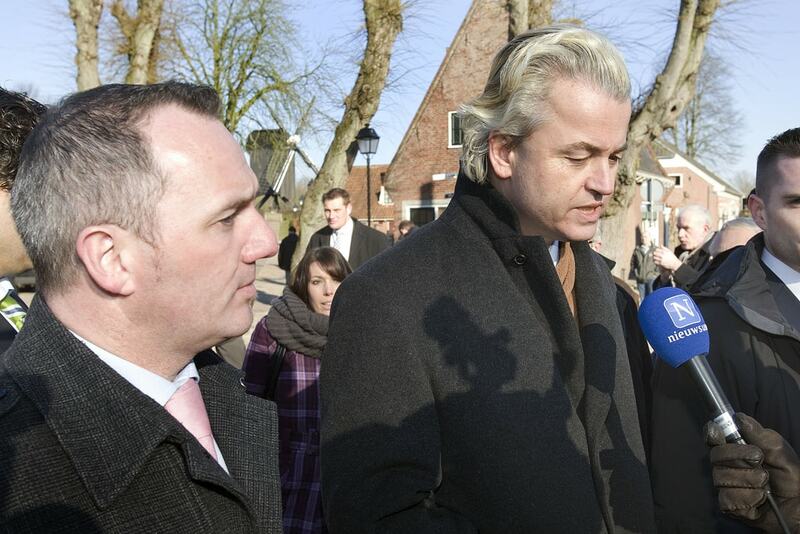 Despite the warning, Mr Wilders travelled anyway, and was duly refused admission at the border. After returning to the Netherlands he exercised his right to appeal the decision. This appeal was heard at the Asylum and Immigration Tribunal before a high-powered bench of Deputy President Ockelton and Senior Immigration Judges Pinkerton and Grubb. The decision was reported as GW (EEA reg 21: ‘fundamental interests’) Netherlands  UKAIT 50. There are of course many notable examples of the UK government seeking to deny entry to controversial public figures: Louis Farrakhan, the Reverend Sun Myong Moon and Calvin Broadus (Snoop Dogg), to name but a few. But an important legal distinction from those cases is that Mr Wilders, being Dutch, is of course an EU citizen (much as he may wish otherwise). His right of entry is governed by EU law and the domestic UK regulations implementing that EU law. In 2009 the domestic regulations were the Immigration (European Economic Area) Regulations 2006. They have since been updated, so our Border Force officers on Saturday should have been working from the Immigration (European Economic Area) Regulations 2016. A person is not entitled to be admitted to the UK by virtue of Regulation 11 if his exclusion is justified on grounds of public policy, public security or public health in accordance with Regulation 21. The 2016 regulations also additionally contain, in that way so beloved of our recent generation of parliamentary drafters, a separate schedule which defines for courts what the “fundamental interests of society” from sub-section (c) are considered to be. The schedule also attempts to set out the approach to proportionality, from sub-section (a), in different circumstances. In 2009 the tribunal was not so encumbered and embarked on its own examination of what could be defined as a “sufficiently serious threat affecting one of the fundamental interests of society” in the context of Mr Wilder’s appeal. A point the tribunal noted as particularly contentious was whether the “threat” to the interests of society necessarily meant an activity prohibited by law, or whether this could encompass a wider meaning. The tribunal took the view that unless the predicted activity was likely to be prohibited by law, then it was difficult to see how it could represent a threat to the fundamental interests of society. Since UK society is highly regulated by law, and it is one of the functions of regulation to protect the fundamental interests of society, then it was highly unlikely that a matter not regulated by law would be regarded as a fundamental interest. If a Dutch national proposed to undertake an activity which a British national could undertake with impunity, then an attempt to prevent the Dutch national entering to do the same thing would equate to discrimination which could not be objectively justified. As a result of the 2006 Regulations, introduced by the present government, a Dutchman has almost the same right to visit London as a Yorkshireman has; and as a result of the Human Rights Act 1998, a Dutchman has the same right of freedom of expression as a Yorkshireman has. The difficulty for the government in the 2009 appeal was mounting a convincing case, on the evidence available, that Mr Wilder’s proposed activities would contravene the law. It focused on section 5 of the Public Order Act 1986, claiming that a “breach of the peace” would be committed. The tribunal found the evidential basis for this contention “sparse” and “vague”. It also rubbished the idea that seeking to prevent “community disharmony” could stand as justification in the absence of proof of the intended commission of a prohibited act. The tribunal also noted, with reference to R (Farrakhan) v Secretary of State for the Home Department  EWCA Civ 606, that for an EU citizen a considerably smaller infringement of the right to freedom of expression under Article 10 of the European Convention on Human Rights might be sufficient to show that the EU national’s prima facie right of free movement should prevail. Mr Farrakhan, a non-EU citizen, had no underlying right to enter the UK, whereas Mr Wilders did (and does). It was fair to say that the Home Office was soundly defeated in the tribunal which was completely unconvinced by the arguments to deny entry to Mr Wilders. Nearly ten years later, is this the justification for the Border Force apparently standing aside after a couple of questions? The 2016 regulations do contain those additional specifications as to the fundamental interests of society within Schedule 1, including “maintaining public order” and “protecting the public”. The new regulations also include the principle that a decision may be taken on “preventative grounds”. However at the core, and considering the latest official guidance on the matter, the tribunal’s reasoning in 2009 that an activity must realistically involve something prohibited by law before forming the basis to deny admission appears sound. The explanatory memorandum to the 2016 Regulations, discussing the changes from the 2006 regulations mentioned above, appear to place emphasis on the concept of the “abuse of free movement rights to circumvent and undermine the UK’s domestic immigration control system”. This links into the Home Office’s failed attempt to target EU citizen rough sleepers on the basis of an abuse of rights. So it is not clear that the changes actually advance or alter the approach from that taken in 2009 in the context of Mr Wilder’s case. There is an interesting comparison to be drawn between Mr Wilders’s admission, and the refusal in March this year to admit Austrian national Martin Sellner (and his US girlfriend), reported by CJ here. But Mr Sellner will likely have a right of appeal against this decision, and perhaps we will see a challenge in due course. If the Home Office are to maintain that decision in the face of an appeal, it will need to able to refer to evidence which suggests a risk of unlawful activity occurring as a consequence of Mr Sellner’s visit. We do not have a copy of the decision served on Mr Sellner, but his girlfriend (a fellow right-wing celebrity) published a copy of the immigration decision which she received. The decision contains the sentence, verbatim: “Furthermore, Your boyfriend have in his possession the Leaflets with scenarios regarding possible violence at his speech”. Whilst this clearly opens the door to arguments about potential public order breaches, I suspect the tribunal is going to need rather more evidence (and grammatical rigour) to sustain the decision, closely tied to Mr Sellner’s conduct. Lutz Bachmann, founder of the far-right anti-Islam group Pegida, and a German national, was similarly denied entry this year. Reporting on the case, the Independent noted Mr Bachmann’s numerous criminal convictions, but of course these alone would also likely be insufficient to justify the refusal of admission as per regulation 21(e) above. The law of England and Wales in relation to hate speech and public order is outside my limited area of expertise, so I will not embarrass myself. But I have watched Mr Wilders’s speech to the Tommy Robinson rally and read his media releases (for the sole purpose of writing this blog, I stress). In my view he avoids, if narrowly, language which is “threatening, abusive or insulting“. Mr Wilders is a prominent politician, outspoken and controversial, and it is not surprising that he is an effective and articulate communicator. Indeed the thrust of his challenge was towards the UK authorities, for the “absolute disgrace” that was Tommy Robinson’s imprisonment for contempt of court, albeit with a heavy dose of Islamophobia. Of course, Mr Wilders is one of a number of well-spoken, presentable, and articulate speakers who give legitimacy and credibility to the far right. They are able to present a model of relative respectability even as supporters of the same cause threaten and commit violence. He has in the past been convicted of “incitement” by a Dutch court (and is appealing). But it is important to distinguish causation and effect, despite my concern over the violence that occurred and the breezy entry of Mr Wilders to the UK. Rationally speaking, his presence did not cause the violence nor did he incite it directly. That violence occurred at the protests wouldn’t have been necessarily foreseeable to the Border Force officers and certainly not causally connected to Wilders’s entry and speech at a rally. His speech no doubt encouraged attendance but as the tribunal noted in 2009, this is a man who travels and speaks extensively, and rarely is there public disorder. Violence can and does flare at all kinds of public gatherings. Part of a democratic society is the ability to protest and disagree with decisions taken by the state. That is not prohibited by law. Even when the disagreement is so misguided as to suggest that Mr Robinson’s imprisonment after he pleaded guilty to a crime (the same crime he narrowly avoided imprisonment for previously) is somehow an attack on freedom of speech. Coupled with the right to freedom of movement, more powerful reasons would have been needed to deny Wilders admission. This will remain the case, at least until Brexit, which is somewhat ironic given that Mr Wilders, Mr Robinson and (I suspect) their supporters are enthusiastic Brexiteers. Those less convinced about the benefits of Brexit and the end of free movement can at least see the chance to refuse entry to the likes of Mr Wilders as a silver lining.